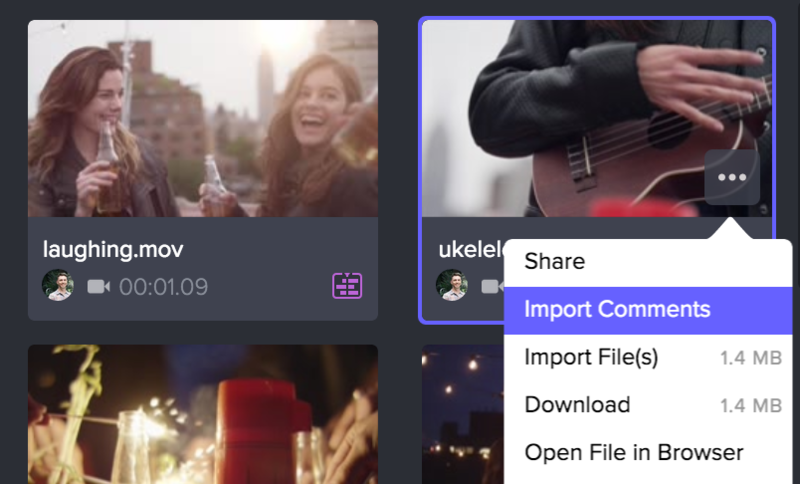 To import comments that have been made on clips in Frame.io, first you need to import the file(s) to your bin if you haven't already done this. 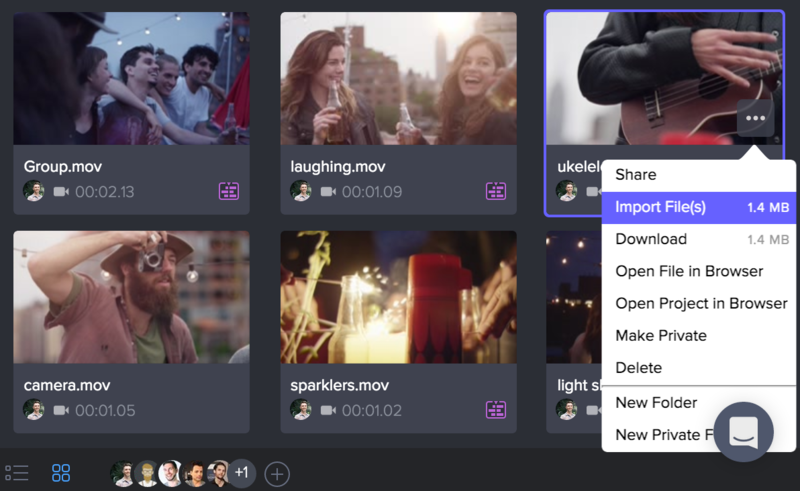 You can click the ... on the single clip, or select multiple clips and then right-mouse click to import all selected files. 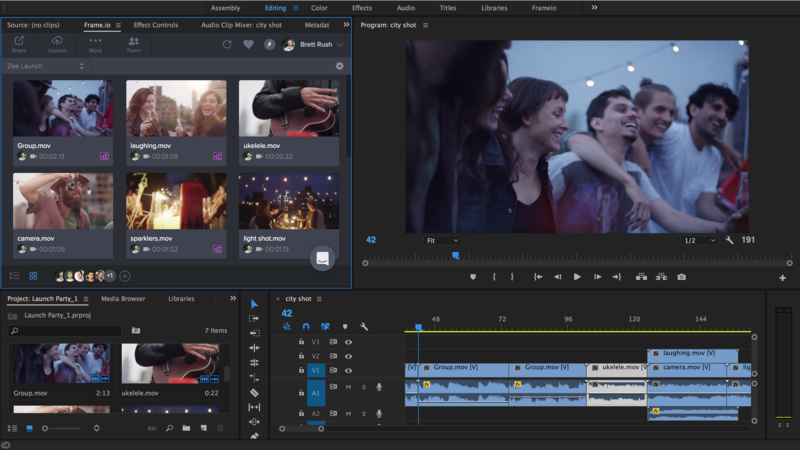 After dragging your clip to the sequence, now you're ready to link the Frame.io clip and the Sequence clip together. 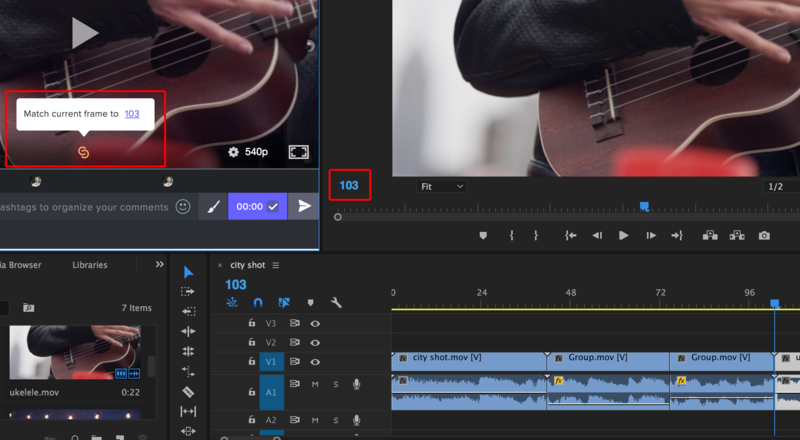 (in this case, the frame is 103). 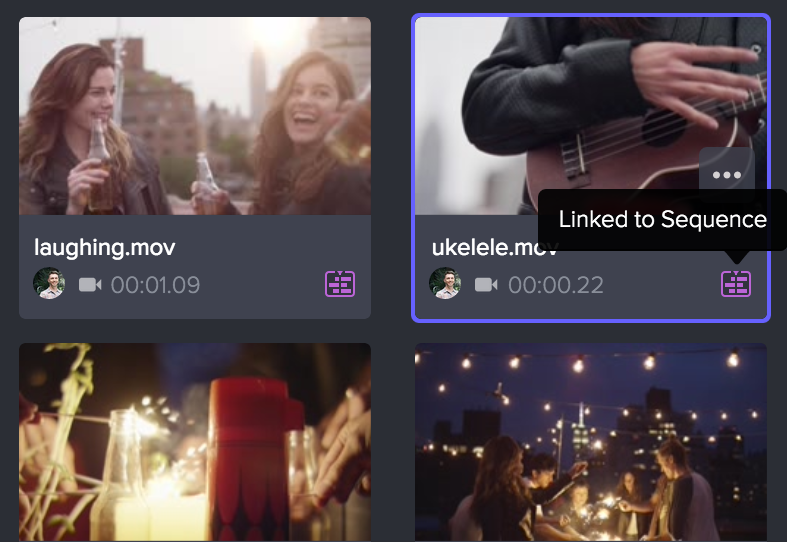 Now the clip is linked and there's a purple badge indicating this clip is linked to the sequence. 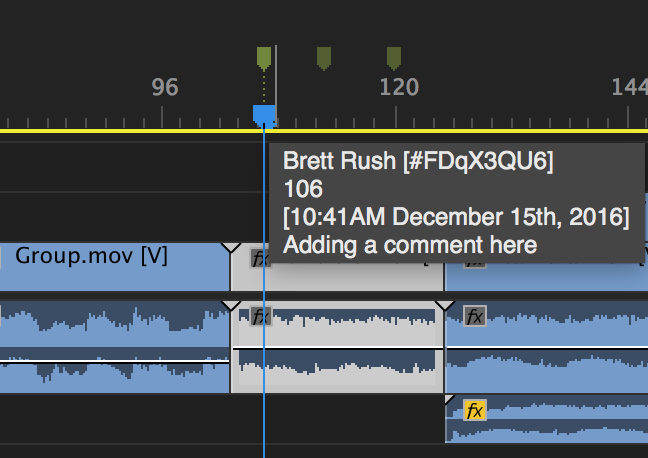 After importing the comments, the comment, collaborator and comment time are all in this marker.